Grind together the coriander seed and the seeds from the inside the black cardamom pod. 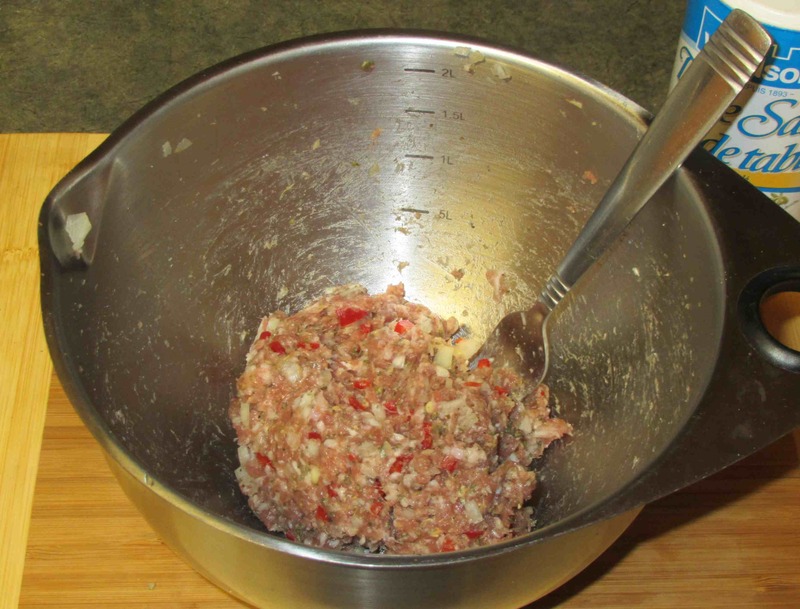 Mix all the ingredients together in a bowl, stirring many times in the same direction until the mass becomes sticky. Set the bowl aside for an hour or so to let the flavors meld. 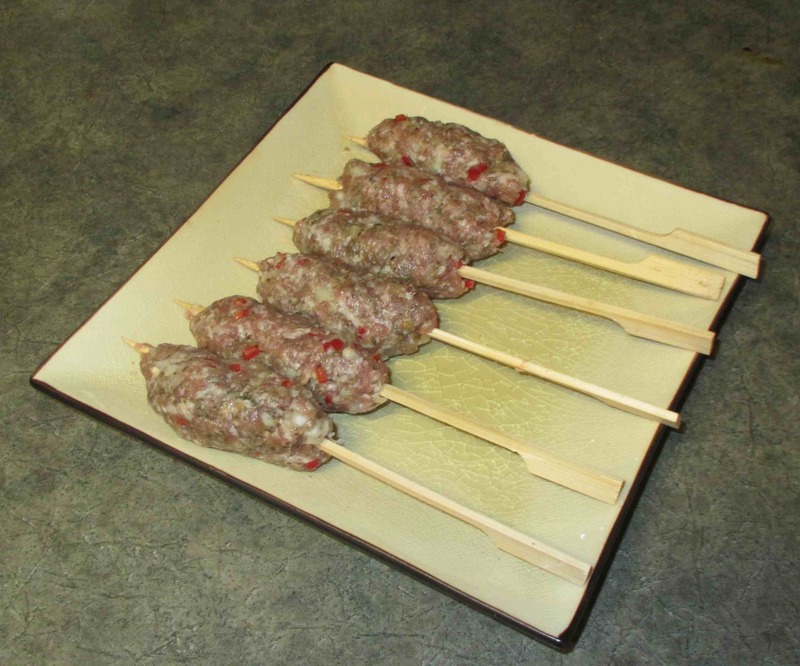 Divide the meat mixture into 6 equal portions and mold into sausage shapes around suitable skewers. 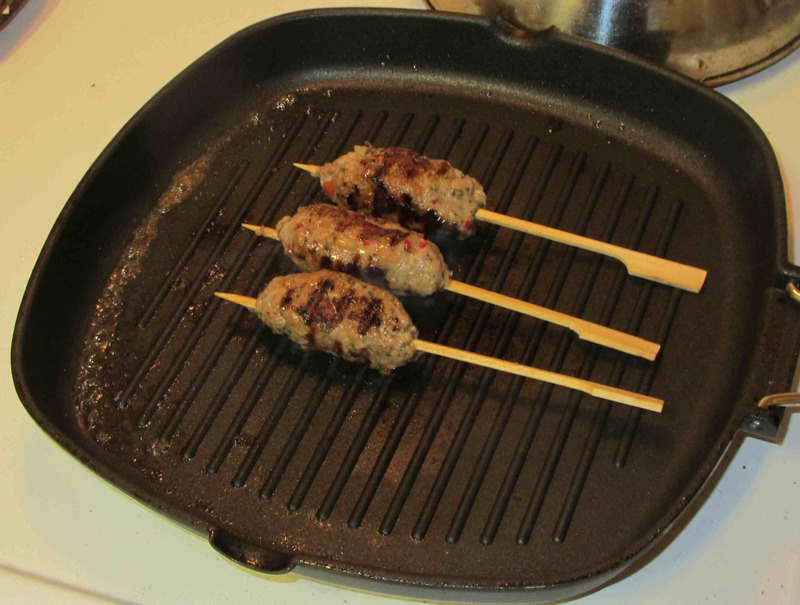 Grill, or panfry the kebabs in an oiled pan, until cooked through. 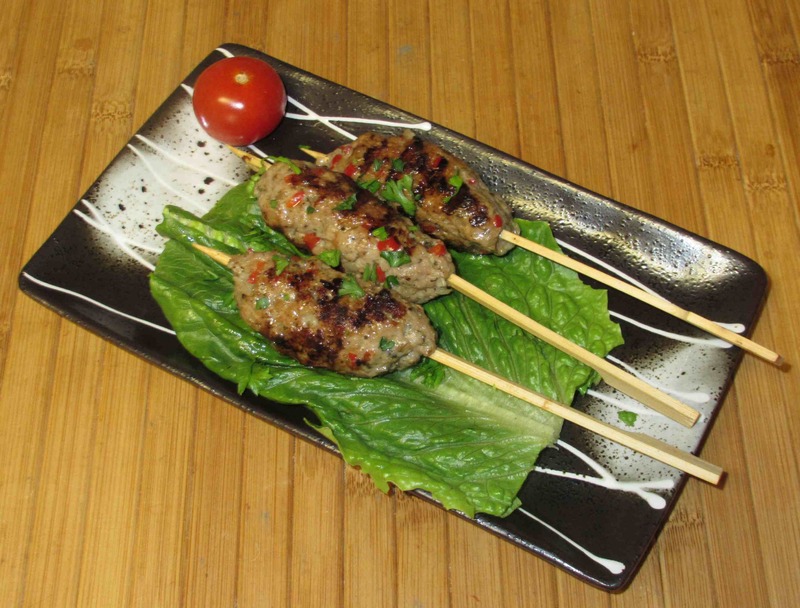 Serve with a chutney, relish or dipping sauce of your choice. My wife likes that … I am not a fan of yoghurt so I often make a ‘fake’ yoghurt type sauce using cucumber salad dressing as a base. 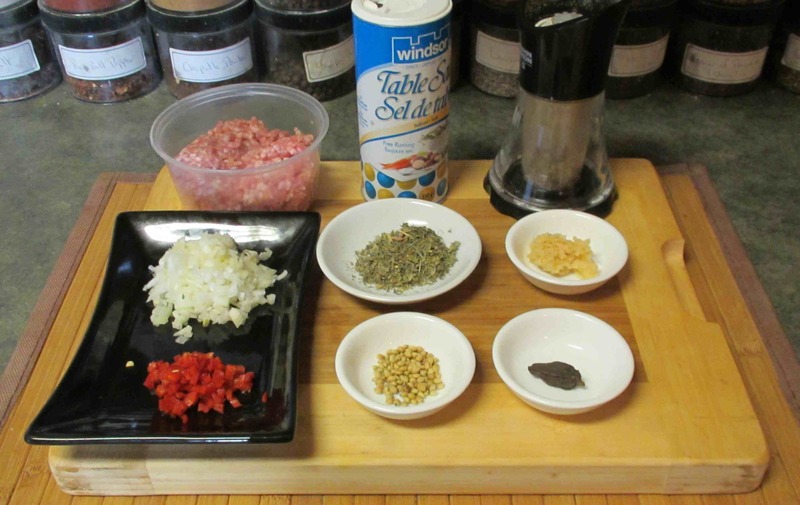 I would think that these would be quite yummy with minced beef or lamb, too – so that your wife can enjoy them, too! Looks delicious! I love coriander so I’m sure I would enjoy the spices in there. I served them as part of a ‘thali’ style meal with some other things. There’ll be a photo of that in an upcoming post. sounds delicious. we’ve been making different chutneys with the berries we picked. it’s quite amazing what they do for the flavor.